Try the new LtComposer 3.0 beta 7! 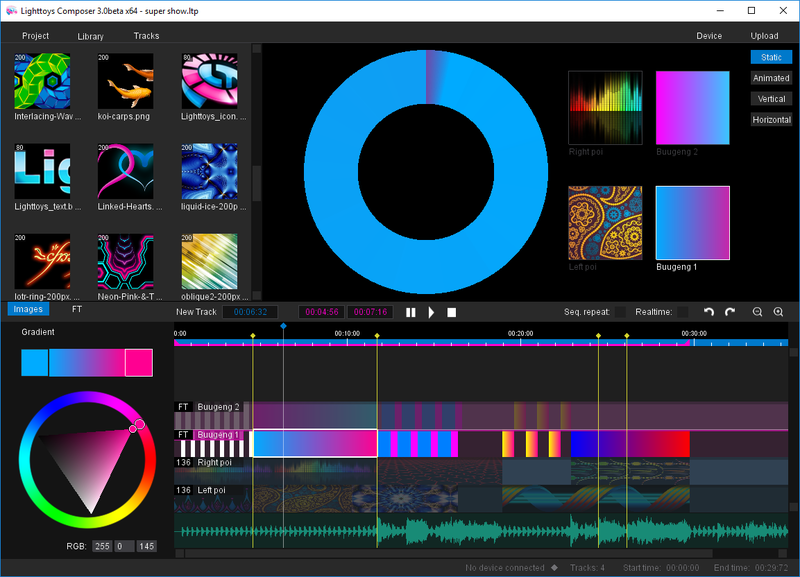 After several months in the development, our team Pyroterra Lighttoys is super excited to share with you a sneak peek at our next generation software for creating show sequences! With LtComposer 3, you can program your FT devices with the same ease as Visual Pois in a single app, yippee!